Remediation Under Containment - American Integrated Services, Inc. 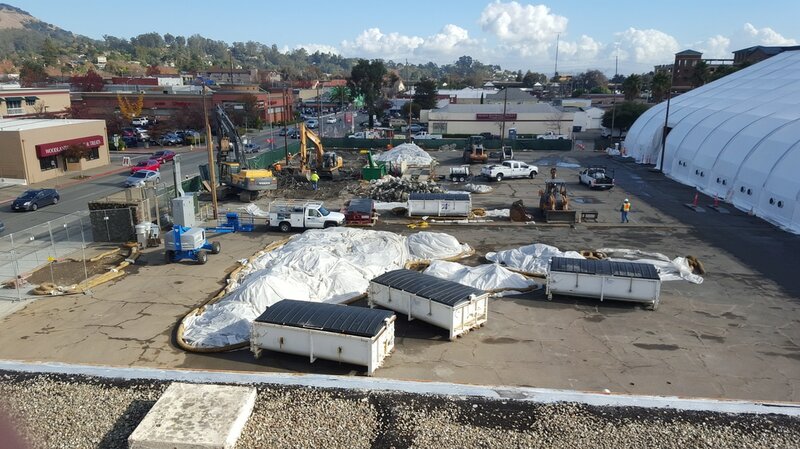 In fall 2015, AIS began a year-long environmental cleanup project in downtown San Rafael to remove contaminated soil, clearing the way for property redevelopment. The majority of the work was conducted under a large, fully enclosed tent to minimize dust and odor. This work was part of a company-wide program to address contamination from historic operations and was overseen by the California EPA, Dept. of Toxic Substances Control (DTSC), and performed in accordance with permits from the Bay Area Air Quality Management District (Air District) and City of San Rafael. About 35,000 cubic yards of soil containing chemicals from historic gas manufacturing activities were removed from the site and replaced with clean fill preparing the property for future redevelopment. 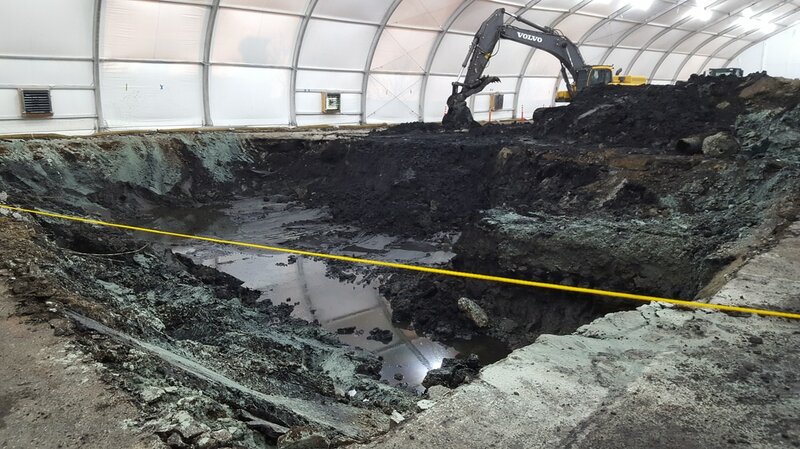 Most of this work was performed within large, completely enclosed tents using construction equipment such as excavators and backhoes. Groundwater was extracted during excavation activities and treated in accordance with permits from the Central Marin Sanitation Agency. This project was completed in accordance with a number of site-specific plans including a health and safety plan, an environmental controls and air monitoring plan, a traffic management plan and a storm water pollution prevention plan. A robust air monitoring and dust control program was in place during all excavation work. As required by the regulatory agencies, air will be monitored at various locations along the project perimeter based on work zones, wind direction, and sensitive populations. Air will also be monitored at the site of each excavation. Monitoring results are used to confirm that air quality is within levels established by the California EPA to be protective of site workers and public health. Click here for more photos and historic information on the site.